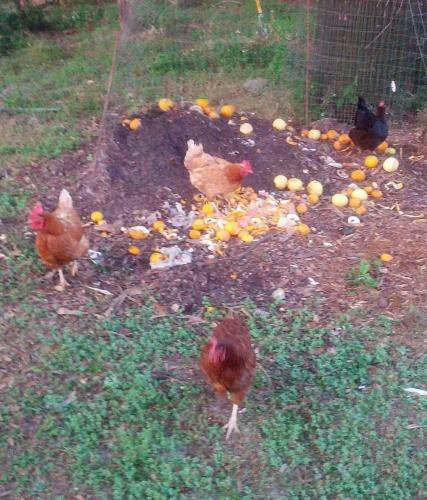 Every morning when I let the chickens out they run to the compost pile as fast as they can to see what's new. I love watching them run...heads stretched out, wings slightly out to their sides. I don't know why but I find it extremely amusing. On this day I had put some rotten oranges on the pile. The chickens didn't really care for them, but they still spent a lot of time scratching sround.